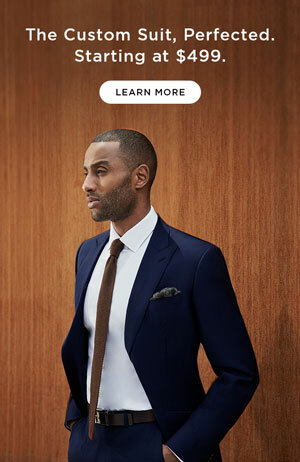 Creative Black Tie: What Does This Dress Code Mean For Men? 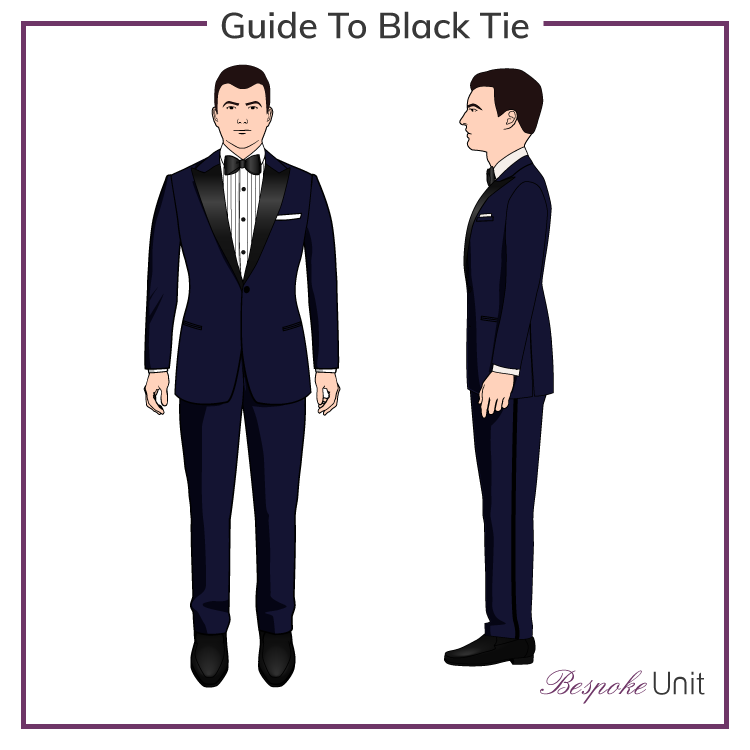 In this article, we’ll be discussing the creative black tie dress code and how to dress for it. 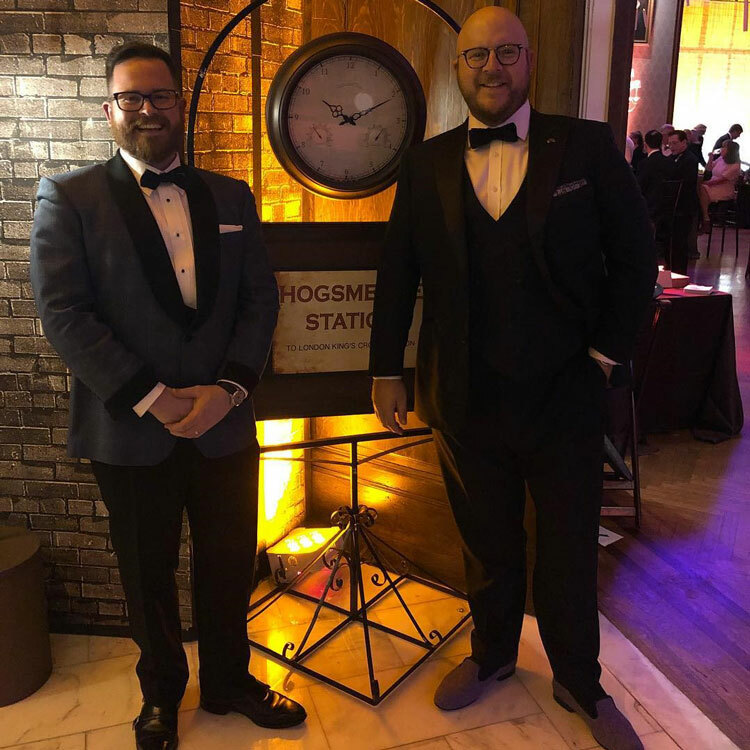 An increasingly common dress code, creative black tie can be somewhat confusing for the novice and even challenging for the expert. Creative black tie essentially marries conventional tailoring with fashion and often results in much of what we see during entertainment events and award ceremonies. While we’re staunch supporters of traditional tailoring, we’re also aware of creative black tie’s relevance today. Therefore, we’ll help you in finding what to wear for it while staying loyal to the dress code. 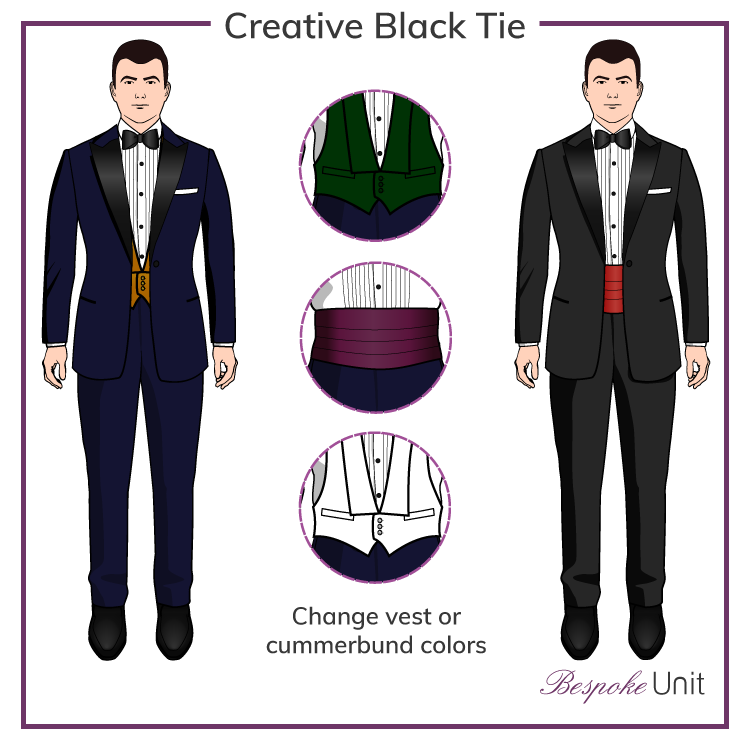 What Is Creative Black Tie? Alternatively, scroll down to keep reading. Though they can be stylistically limiting, dress codes have their benefits. They can unify a work force’s image, lower school children’s distractions, and allow dining and entertainment establishments to create and maintain a high-end look. Sometimes, though, dress codes can be quite a challenge to adhere to successfully. Creative black tie absolutely falls into this category. To be totally honest, it’s our feeling that this dress code has simply diluted black tie, compromising its integrity by breaking long-held sartorial rules. In this way, it’s a dress code that requests men to wear sartorial oxymorons, things that are neither suits nor tuxedos. On the other hand, it’s an increasingly common dress code, especially amongst those in the entertainment or creative industries, such as public relations or design firms. When it’s done tastefully, it can actually stretch the boundaries of classic black tie while still falling within them. If you’re attending a creative black tie event, how should you dress? Also known as “Hollywood black tie,” creative black tie is just that: a creative twist on the black tie dress code. The best way to do it is to inject a bit of color into the otherwise black-and-white ensemble. Further down the article we’ll give you a list of pitfalls to avoid. The important thing to keep in mind here is that black tie is the basis of the dress code. You’re taking a tuxedo and making modifications to it. What you aren’t doing is taking a suit and trying to “tuxedo-fy” it. Black patent leather oxfords, Venetians, or opera pumps. Black calfskin oxfords with a high shine are acceptable. How Do You Get Creative With Black Tie? Note that we said “a color” and not “colors.” To add one color to a tuxedo is creative. To add more than one gets you into monkey suit territory, so decide on one color and stick to it. Some good colors to experiment with are the ones you’d typically find on velvet smoking jackets: burgundy, royal blue, tobacco, and bottle green. If you don’t know which colors would look best on you, we have a whole guide to help you! *Editor’s Note*: A red cummerbund with a black tie is a can’t-miss combination. If you haven’t been paying attention up to this point, start now: it is extremely important that you don’t match accessory colors. A matching waistcoat and bow tie is something you see at prom, and even then it’s not a good idea. One exception to this rule is a little-used dress code referred to as “Red Sea rig.” It allows for matching red bow tie and cummerbund and the absence of a jacket, as the Middle East (the location of the Red Sea) is so hot that wearing a jacket is unfeasible. While traditional black tie generally calls for a clean shaven face or a neatly-kept beard, creative black tie allows you a bit more wiggle room. Stubble is generally acceptable, and your hairstyle can be as wild as you like. Okay, maybe not Carrot Top wild, but you can have some fun with it. Crazy colors: Certain colors like bright yellow, orange, or avocado green totally compromise the integrity of wearing a tuxedo in the first place. 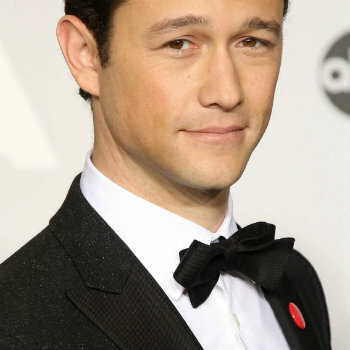 Neckties: Men in Hollywood wear neckties with tuxedos all the time, and it makes no sense. This isn’t creative, but rather a misunderstanding of what black tie is supposed to be. Poor fit: While this isn’t specific to the creative black tie dress code, it’s of such importance that it warrants a mention here. A poorly-fitted dinner jacket is one thing, but a poorly-fitted dinner jacket with a bunch of color involved is just clownish. If you need a primer on how a suit (or tuxedo) should fit, we have a great guide for you. Wearing a vest & cummerbund simultaneously: This is like putting your spare glasses on over your regular glasses. It offers no additional functional benefit, and you’ll look stupid. 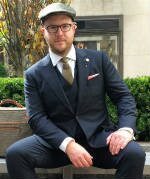 “Sporty” details: Notched lapels, center vents, pocket flaps, and two- or three-button jackets are all country-inspired sartorial details and are mere sartorial oxymorons when put onto a tuxedo. Remember that formality (or semi-formality, really) is rooted in the absence of sporty details like this. These are clothes for fun, sure. Just not outdoor, physical activity-driven fun. Like Mr. Fatone, Mr. Fishburn did a few things right. He’s wearing black tie-appropriate shoes, and it seems that the overall fit of his garments is good, if a bit conservative. The orange jacket, while good for his warm skin tone and surely a handsome piece on its own, is a bit nuts for a black tie ensemble. Furthermore, it has pocket flaps and notched lapels, sporty details that don’t make sense with black tie. The necktie, while tied much better than Mr. Fatone’s, is still a necktie. Combined with the jacket, this outfit is neither suit nor tuxedo, leaving him in sartorial purgatory. Again, creative black tie is a variant of black tie wherein you can add one color to your ensemble to liven it up a bit. 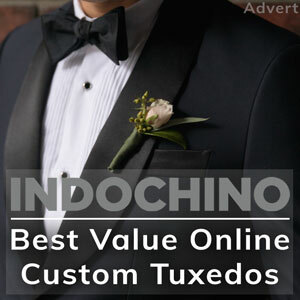 It is not an opportunity to dilute the tuxedo with sporty details, insane colors, or other ultra-trendy ideas. If you simply add one color to your outfit and otherwise play by the rules, you’ll look natty as all get-out and still tick off the “creative” box that was requested of you on the invitation you received. What Is Black Tie Optional? Reviewed by Oliver P., on 20th February . "Thanks for this helpful guide. Starting my first job next week and don't want to go in too under-dressed."